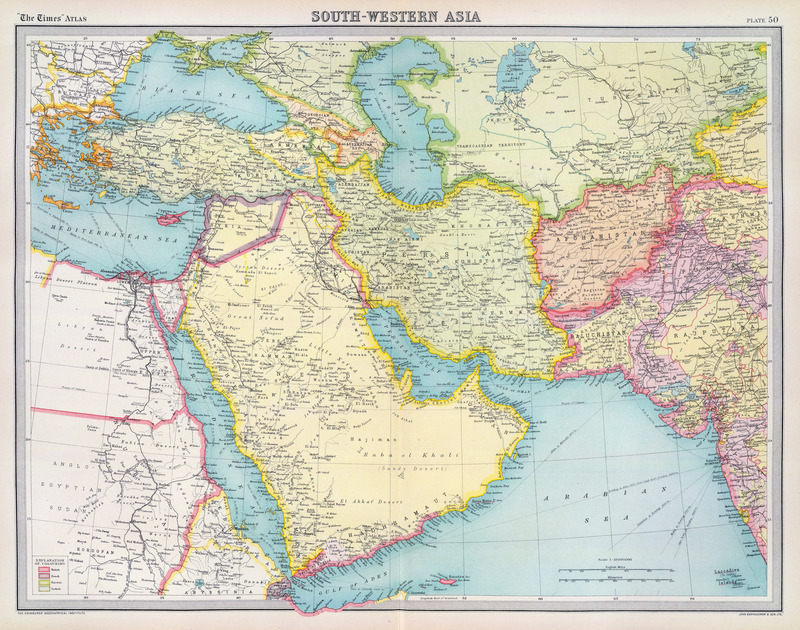 These islands off the Southern coast of the Arabian peninsula came to the attention of the British in general, and the East India Company in particular, as the sea routes to and from India took on increasingly importance. Even before the Suez Canal opened in 1869, communications and passengers often travelled via Egypt in order to speed up the journey from the alternative around the Cape of Good Hope. 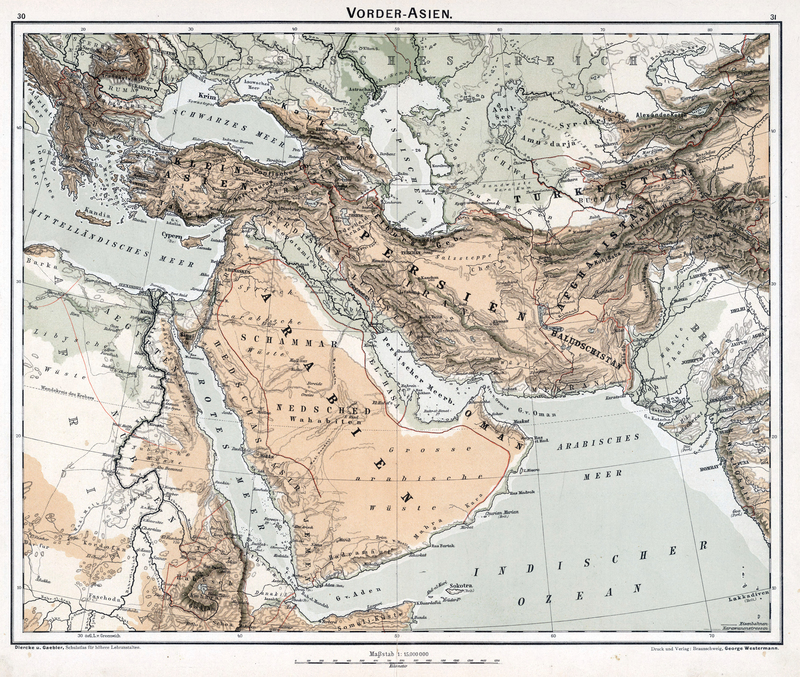 The East India company and the Royal Navy charted the waters in the Red Sea and Indian Ocean in order to facilitate navigation and also to guard against the threat of piracy. A number of intervening ports and islands, such as Socotra, Perim and the Kuria Muria Islands were considered as possible bases in the region before Aden was definitively selected in 1839. Concurrent with these developments, the British had been active in the Persian Gulf in helping to suppress piracy and support local sheikhs including the Sultan of Oman. 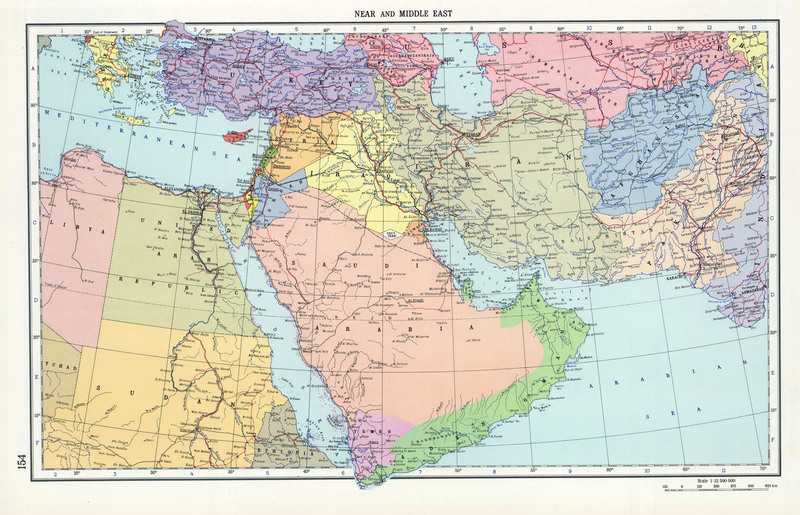 The presence of the British in the Gulf allowed trade to flourish in relative security. Britain signed a Perpetual Treaty of Maritime Peace in 1853 which promised to keep British naval presence in the region in return for local rulers reducing slavery and continuing to tackle piracy in the region. The Sultan of Muscat went one step further in currying good favour with the British by offering the Kuria Muria Islands as a present to Queen Victoria in 1854. The British accepted these islands but duly transferred their administration to the East India Company which also administered Aden at this time and provided the paramount British presence in the Indian Ocean at the time. The Admiralty were interested in the possibility of using the islands as a base or at least as navigation points. After the Indian Mutiny occurred and the East India Company was wound up, responsibility for the islands transferred to the Bombay Presidency Government in the British Raj. 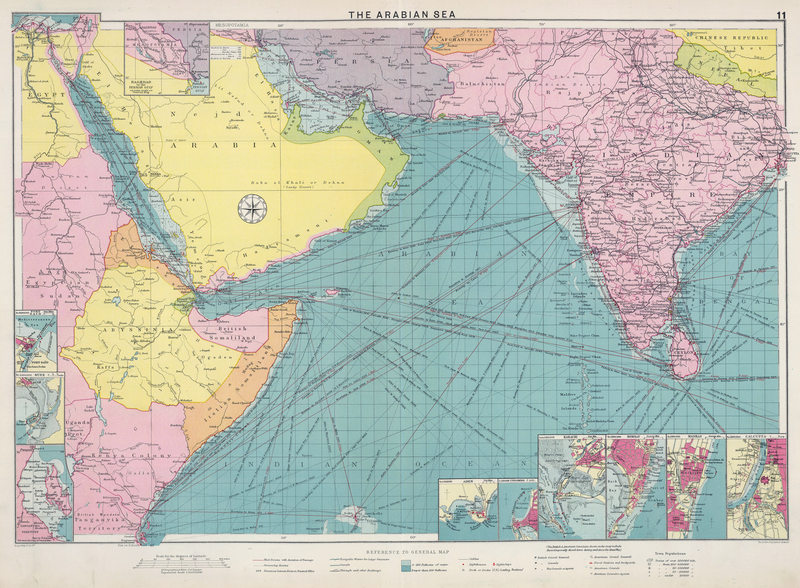 Efforts were made to use the islands as part of an ambitious telegraph connection between Aden and Karachi. The Red Sea and India Telegraph Company was formed in 1858 and actually built sections of the cable. Three ships were chartered; Imperador, Imperatriz, and Berwick, and the cable was laid in two separate expeditions with the Aden - Hallani - Muscat - Karachi being laid between 17 January and 12 February 1860. The cable was only lightly armoured, and the original contract allowed the company to keep all surplus cable; consequently the cable was laid with very little slack and it soon failed. Messages were passed over individual sections, but the entire cable never worked as a unit and the entire project was finally abandoned by 1861. A Persian Gulf cable linking Bushire with Karachi was successfully laid in 1864 which meant that these islands were no longer required as telegraph relay stations. Another economic venture was the mining of guano deposits for their nitrogen and phosphates and their use in the manufacture of fertilisers. A group of Liverpool investors sought to gain an economic monopoly for the extraction of guano in the 1850s and were granted a temporary monopoly by officials on the ground. However, clashes with the local population who resented the sudden intrusion of so many Europeans were brought to the attention of Parliament back in London. Westminster refused to countenance the monopoly requests and sought an accommodation with the local people. 200,000 tonnes were extracted by 1860 but without the security of a government backed monopoly and with continued local opposition, the Liverpool merchants withdrew their operation. The population of the island was never large, with only several dozen people subsisting largely from fishing. The main island of Al-Hallaniyah held the majority of the population but even here life was tough and the population lived in basic stone huts and retreated to caves when the weather was particularly harsh. 1904 saw a ship wreck on the islands which ended in tragedy. The SS Baron Innerdale was travelling from Karachi to Liverpool carrying a cargo of wheat when she hit rocks in the Kuria Muria chain. The crew, largely Greek, set off in two lifeboats. One lifeboat was never heard from again, but the second lifeboat made landfall on the lands of the Sultan of Muscat. A search and rescue steamer, the SS Dalhousie, was sent out from Aden to search for survivors. When she arrived at Masirah Island (not part of the Kuria Muria chain) it was discovered that all but one of the Baron Innerdale's survivors had been massacred by the local sheikh. The only survivor was a young cabin boy who was taken back to Aden on the Dalhousie. The Sultan of Muscat apologised profusely and punished the local sheikh and ringleaders, some of whom were executed as a punishment. The SS Baron Innerdale was actually salvaged and returned to service. Although the islands continued to be a responsibility for the Bombay Presidency, its administration was transferred to Aden (which Bombay also administered) from 1886. 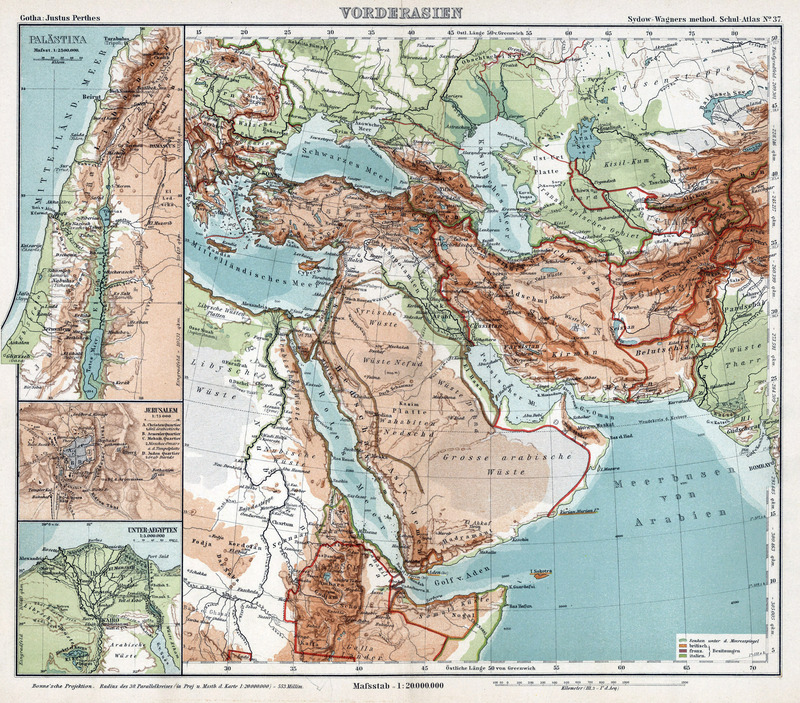 However, the Aden protectorate which slowly expanded through the Nineteenth and early Twentieth centuries, never fully extended as far along the Arabian coastline as the Kuria Muria chain of islands. However, even when Aden became a separate Crown Colony in 1937 and separated from India it still continued to be responsible for the administration of the Kuria Muria Islands. This state of affairs lasted until 1963 when it was transferred to the British Chief Political Resident of the Persian Gulf who was based in Bahrain. This smoothed the way for its eventual return to Oman in 1967 despite protests from the newly independent nation of Yemen which sought to argue that as it had been administered for so long from Aden it should be returned to Aden's successor state. 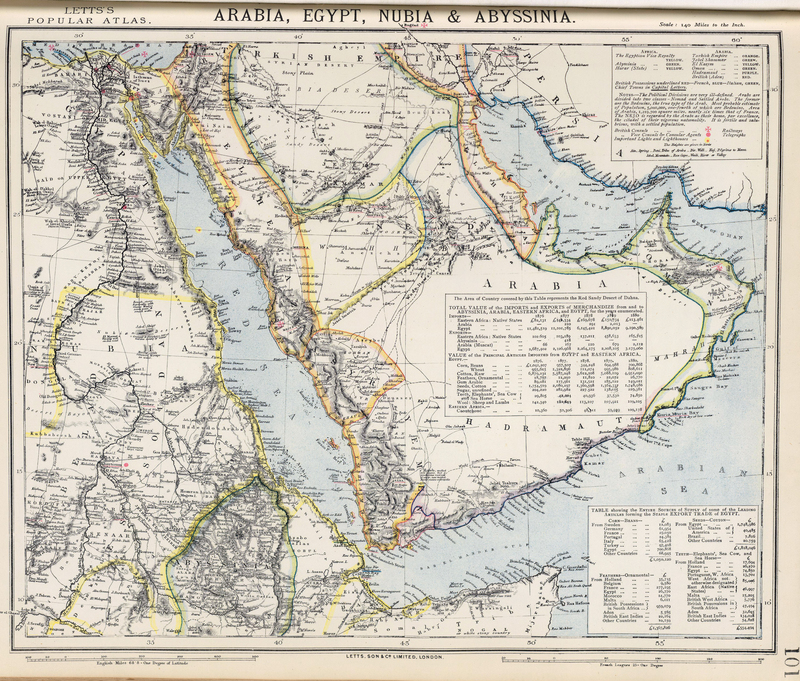 The British response was that the population of the islands identified themselves more closely with Oman than with Yemen and wished to be returned from whence they had originally come from. The two countries of Oman and Yemen did not agree on the subject until 1995 when Yemen finally acknowledged Oman's right to govern them.